Much has been documented about the logistical efficiencies created in the traditional European trade corridors. Those corridors, spanning countries like the UK, the Netherlands, Germany, France, Italy and Spain, thereby create an important economic region of its own. This is, however, to the detriment of the informational content of decision making on site selection. It is also to the disadvantage of other important regions that offer unique competitive advantages to foreign firms trying to base their value proposition on location in the sub-continent, especially those regions that have not yet matured in their place-branding initiative. The Oresund region is one such logistics hotspot in Scandinavia, where “Oresund” is the name of the narrow strait between the eastern part of Denmark and Southern Sweden. The two countries have been connected via ferries for centuries, but economic integration activities really took off when the fixed link (bridge and tunnel) was established in 2000. The Oresund region not only performs the important logistical function of connection and coordination between mainland Europe, the Baltic states and some important parts of Central Europe—it also makes a good logistical location for firms that target emerging consumer needs around sustainability, green supply chain management, and macroeconomic competence and stability. 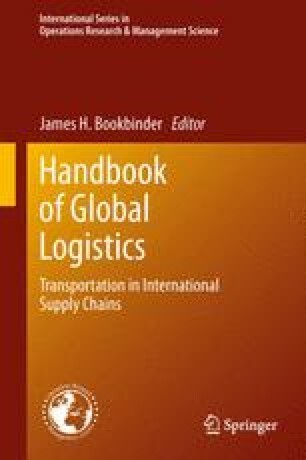 This chapter describes the potential offered by the Oresund region by charting its development, documenting those of its main features related to logistics infrastructure and practices, and tracking its performance on all major levels of logistics decision categories.